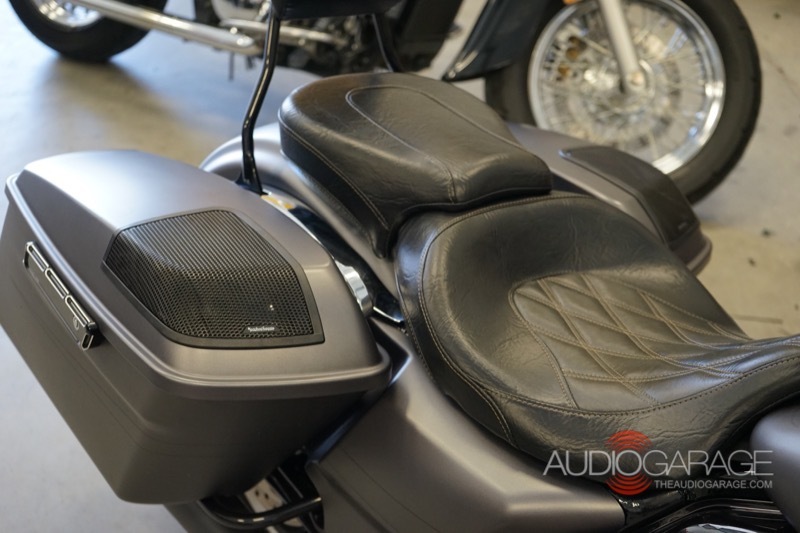 A client from here in Fargo contacted Audio Garage about a 2017 Harley-Davidson Street Glide bag lid speaker upgrade. He had seen us at the Sickies Garage Bike Night and looked at some of the work we’ve done. 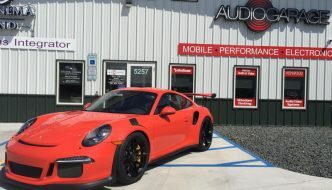 He knew he wasn’t happy with the sound quality or volume capability of the factory stereo on the bike, but was really skeptical about handing his pride and joy over to anyone for an upgrade. 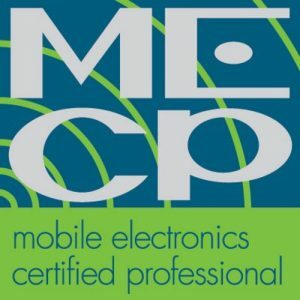 After meeting with the client several times, showing him photos of installations we have completed and exchanging several emails, we finally settled on an upgrade plan for his cruiser. 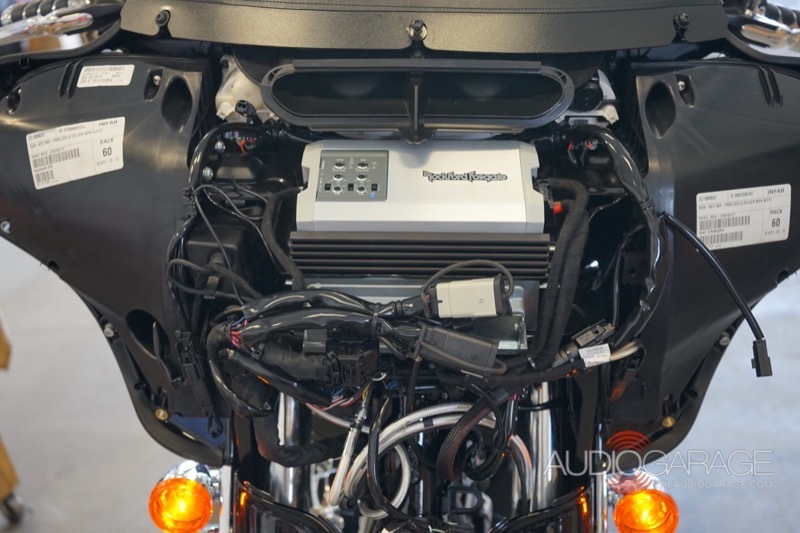 Rockford Fosgate has developed two specific upgrade kits for the 2014 and newer Street Glide bikes. These kits are designed to fit perfectly and provide exceptional performance. Thanks to the Rockford-Fosgate mounting bracket the amplifiers was a perfect fit. The upgrade for this client centers on the TM400Xad four-channel marine-grade amplifier included in the HD14-TKIT. This amp will produce up to 100 watts of power per channel with excellent efficiency and sound quality. The kit also includes an RFKHD amplifier mounting kit to locate the four-channel amps comfortably into the front fairing, just above the factory radio. The second key component of the system is the pair of TMS65 6.5-inch speakers that fit into the factory speaker locations in the front fairing. With more than four times as much power available from the new amp, the factory speakers would never be able to handle the heat or performance requirements. To begin work on the lids we first removed them from the bike. Our technicians used the template to cut the lids, tehn it was time for assembly. 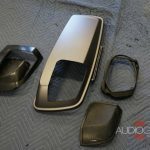 The last part of the project was the TMS69BL14 Power-Series rear audio kit. This kit includes a pair of high-efficiency, weather-resistant speakers similar to the TMS65 design, but in a larger 6×9 size. 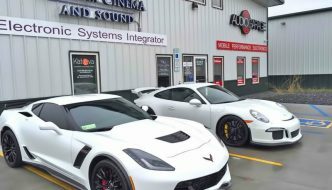 A set of mounting brackets and custom grilles are also included in the kit. 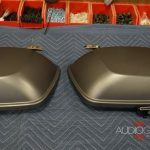 We removed the factory saddlebag lids, protected the matte paint with masking tape and cut out the openings for the new speakers using the supplied templates. The provided grille and mounting bracket clamp together around the bag lid for a secure fit. The finished installation on the bag lids looks like a factory upgrade. We finished up the installation by making all the electrical connections and protecting the wiring with automotive-grade Tesa cloth tape. We used our Centurion programmer to remove the strange equalization built into the factory radio, then set up the system so it would sound great, even with the volume cranked. In less than a day, we transformed this client’s cruiser into a rolling concert, thanks to Rockford’s Harley-Davidson Street Glide bag lid speakers, front speakers and amplifier kits. 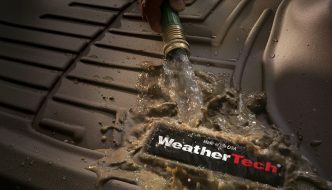 The client was thrilled with the performance of the new system. 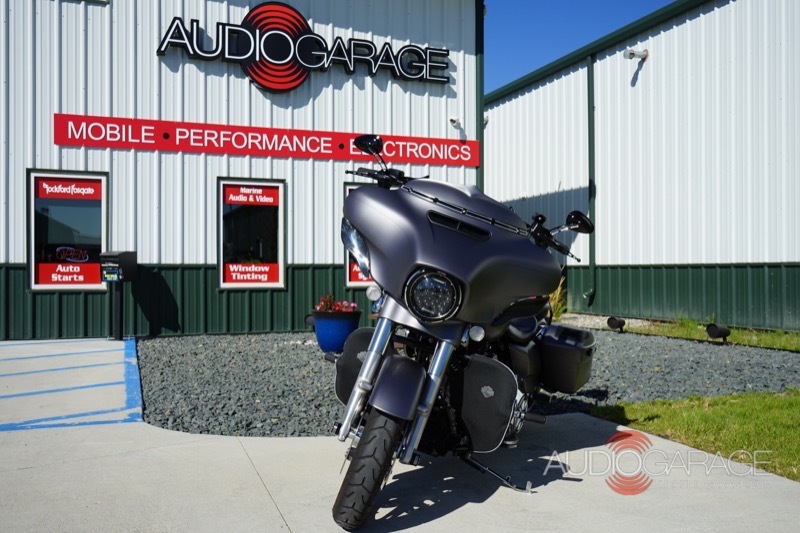 If you ride a Harley cruiser, drop into The Audio Garage and talk to our team or send us an e-mail.